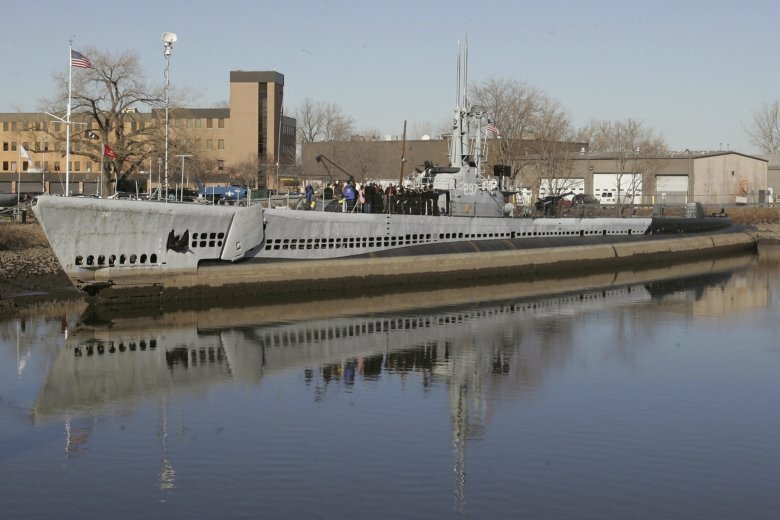 HACKENSACK, N.J. (AP) — Authorities say four bronze plaques taken from a World War II-era submarine in New Jersey have been recovered. The Record reports the plaques — valued at approximately $10,000 — were recently returned by a member of the Submarine Memorial Association, which maintains the USS Ling. The member said he was “safeguarding” the plaques ahead of the mid-August eviction of the New Jersey Naval Museum, and the association won’t pursue charges against him. Meanwhile, three more people have been cited in connection with vandalism that occurred last month, when someone opened hatches and deliberately flooded the sub. An association member has signed complaints accusing them of trespassing. A trespassing charge was also signed against a Connecticut man. He and another Connecticut resident were accused last week of stealing a lantern and a lieutenant’s shoulder lapel from the sub.